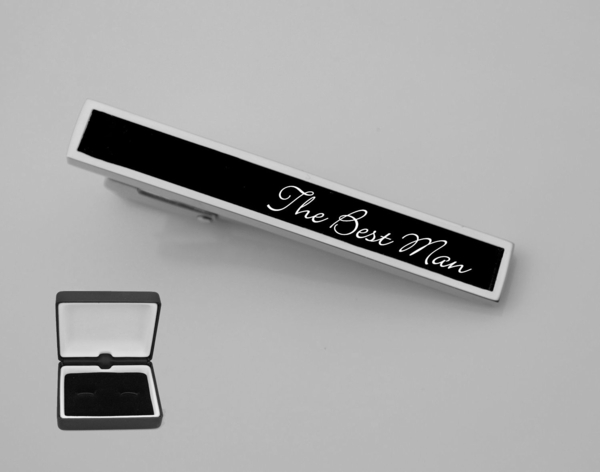 This custom engraved black matte tie clip can be personalized with initials, name or date. Both sides of our tie clips can be engraved. By engraving a tie clip you add a sense of sophistication and style to any suit.